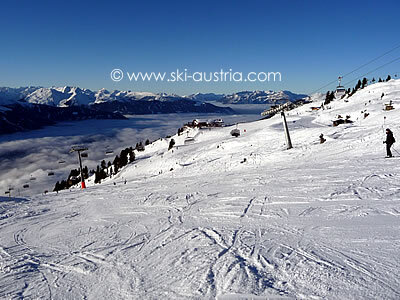 Zell am Ziller has transformed itself from a waystation in the Ziller valley with a limited ski area above the town to the most accessible access point to the largest linked ski area in the area. The Zillertal Arena connection to Gerlos and Königsleiten and the new Karspitzbahn gondolas have catapulted the resort into a destination that deserves to be considered when looking for an interesting Austrian ski resort. 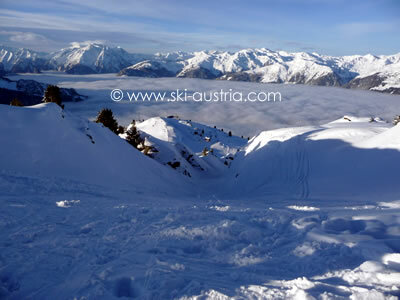 With the building of the Karspitzbahn gondola there are now two options to get into the main Zell am Ziller ski area. 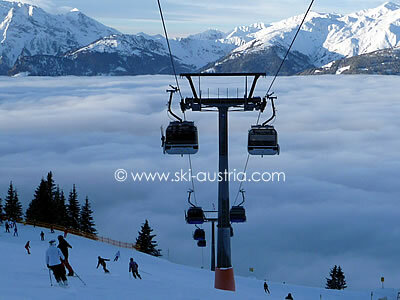 Both of them head up to mid-stations at the Wiesenalm and the Rosenalmbahn takes a dogleg to the left up to the complex of beginner lifts and slopes at the Rosenalm. The Karspitzbahn on the other hand carries on up straight and far higher to a ridge off the Karspitz. From the top of the Karspitzbahn, there is a the long red run back down to the mid-station, another red over to the base of the Karspitz X-Press or the option of a red or blue over to the Kreuzwiesenalm draglift on the back side of the ridge. Further along the front side of the ridge are the two six-seater chairlifts, the Karspitz X-Press and the Hanser X-Press, offering bowl-like red runs down to the base of either lift. 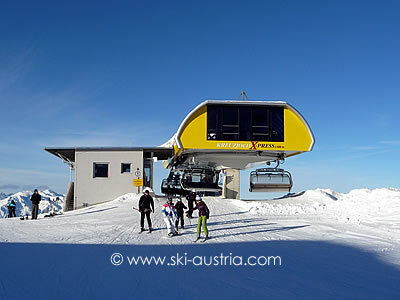 Skiers wanting to head further afield can traverse over to the third six-seater chair, the Kreuzjoch X-Press. The top of this offers either access to the red runs to the bottom of an older two-seater chairlift, the Kapauns chair, or a pole across to the short linking chairlift up to the Übergangsjoch and the route into the scenic Wilde Krimml. 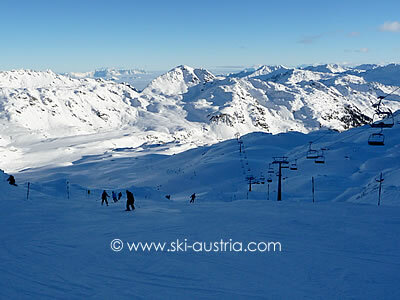 The long red down to the Krimmlalm and the subsequent Teufeltal chairlift leave the skier at the top of the Gerlos area. Skiers crossing over to Gerlos or Königsleiten should be aware of the time for their return and the potential bottlenecks above Gerlos. They need to be able to return to the Übergangsjoch in good time - from there it is possible to ski down to the mid-station of either gondola and the route back to Zell am Ziller. 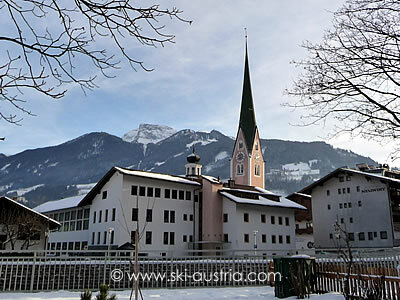 Looking for accommodation in Zell am Ziller? Check availability for hotels, guesthouses and apartments on hotel reservation website Booking.com. No reservation fees.